So ..I have aquired yet another TP600X which I'd like to restore .. This one is in really good condition but although powers up ..there is no display ..
nor output from the VGA I/O .. I have borrowed a the pcb from one of my other units ..and this produces results. In short I need a replacement .. I have searched Ebay but drawn blanks ..
anyone know where I might obtain one ..? I wanted to upload images ..but I guess the forum doesn't allow pictures ? While we get the occasional s30 out here, I would say that I can't help with 600-series computers. That said, pictures can be uploaded to https://imgur.com and hyperlinked to forum posts. Good luck on finding another 600. Maybe these images will work .. This symptom doesn't have to be a dead GPU. It may be a dead cpu, faulty soldered RAM, near dead power delivery unit, a toast display cable, or just some oxidized alumium alloy on the mobo connectors. You have to take the whole thing apart to know, and those things crack pretty easily if you try to open them up. If you want to buy a 600X, I can offer to sell you one. It is a 600X with 500MHz PIII processor and 576MB screen. It is in working condition but rough shape. Asking for US$100 not including shipping from PA. I may well have solved my problem .. I suspect the cpu pcb I require is a Pentium II not as I thought ..a PIII ..
and my fruitless searches using the model and type yield zero results .. I then started searching using the numbers on the pcb paper label ..
All of them ..and again ..drew a blank. Then I searched using the 3 chunks of IDENT on the label ..individually ..
results came thick and fast ...and I found a 300mhz 512k PII on ebay for under £10. fingers crossed tightly for a successful outcome. MMC-1 has 2 rows of white connectors to motherboard, 66fsb, Pentium 233mmx (depends on right motherboard too to my disgust when I was rebuilding a 600 to Pentium MMX 233 from PII, had to purchase another motherboard), PII 233, 266, 300, 333, 366 and 400. negomagic 2MB GPU. That's 600. 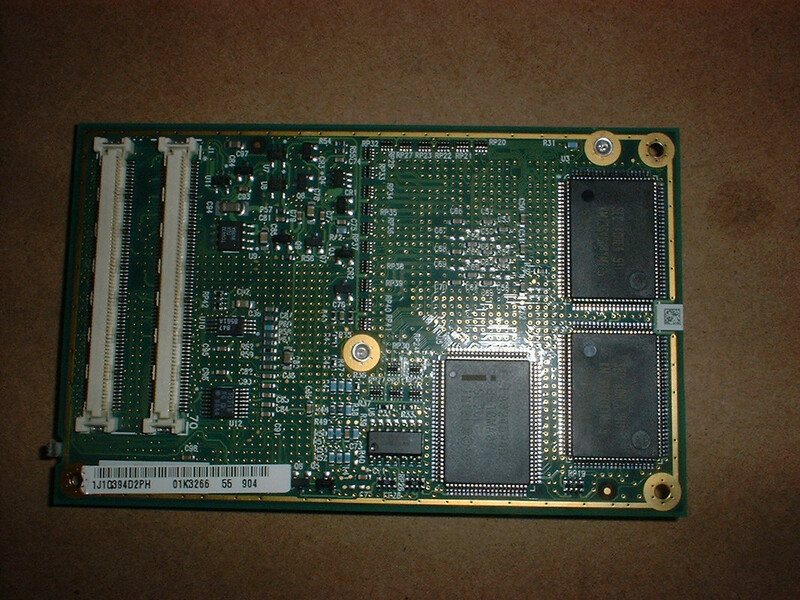 MMC-2 has one white rectangular connector, PII only, 66fsb, 512K or 256K. 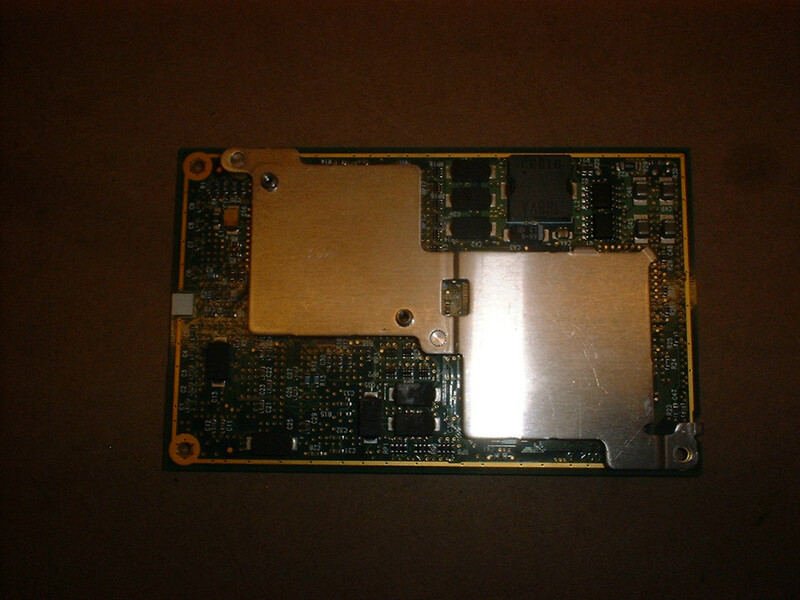 Neomagic 2.5MB GPU. That's 600E. MMC-2 has also one white rectangular connector, PIII only, *100fsb* 256K only, starts from 500MHz, 600MHz with speedstep and up to 850MHz if found. Neomagic 4MB, that's *600X*, the last model released. Also it has first ever mini PCI slot for modem or wireless. Make sure you have right MMC2 PIII module for 600X of yours. I assume I ordered a suitable replacement ..
as seen from the photos I linked to. So I ordered a PII 300mhz 512 and I presume Neomagic 2mb gpu. I guess what I thought was a 600X is just a 600 afterall. another impulse purchase today as the price was right for me ..
physically looks ok ..but no idea if working or not .. I do love these old retro laptops.. There are a few more differences to the regular 600 and other 600 models. 1. The original 600 does NOT have any battery connectors on the Ultraslimbay, thus does NOT work with Ultrabay batteries. 2. (Cannot be distinguished from the board itself) The original 600 does NOT have ACPI support whatsoever, APM only. 3. See if you can locate any FRU numbers on the motherboard, that usually does not lie. 1. the official max is 288mb/320mb depending on 32mb/64mb soldered. Thus, the absolute maximum is 416mb or 448mb. 2. If you don't have the ultraslimbay DVD-ROM or you have a broken CD/DVD drive, you can take the frame of the ultraslimbay drive and subsitute in a Ultrabay 2000/Plus CD/DVD drive and it works just fine, though obviously the BIOS is gonna think of a CDRW/DVD-ROM combo drive as a CD-ROM drive.